New to Bainbridge Island? Have Young Kids? Allcomers on July 5th at the High School. Races run through August. Mom’s Morning Retreat at Grace Church – a place for moms to connect the 1st & 3rd Thursdays during the school year. Check out KidiMu in their new, cool location near the ferry – classes, workshops and just open play time. Battlepoint Park has a great playground and a nice running path. Also at Battle Point is the Open Gym at the Transmitter Building. A great indoor activity on wet days. Check out the Peacock Family Center, a “community of care under one roof” for children birth to six years and their caregivers. 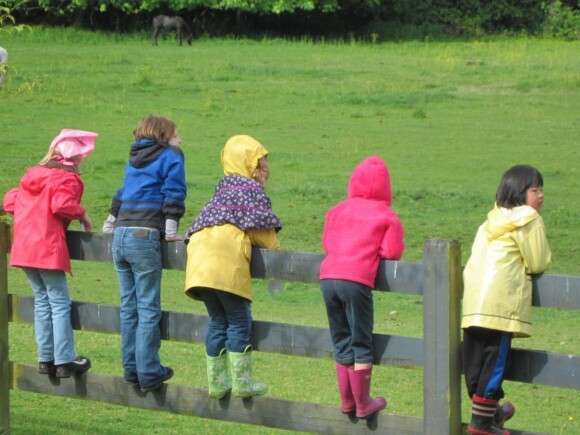 Bainbridge Island Parks and Recreation has a huge selection of classes for you and your kids. Registration for Summer Camps is currently ongoing. Dance. You can do this through Parks and Rec, but there is also Bainbridge Ballet and Bainbridge Dance Center. Bainbridge Island Little League (sign ups are in Dec/Jan – look for camps via Parks and Rec). Soccer starts in the fall, signups will be in early summer. You can either do this through Parks and Rec or Bainbridge Island FC, two separate programs. BIFC has select or recreational programs and winter and spring programs too. Swimming Lessons either at the Bainbridge Acquatic Center via Parks and Rec or private lessons. Check out the popular lacrosse programs on the island– boys and girls teams. My kids love knitting Classes with Dixie Moore, also via Parks and Rec or at Churchmouse Yarns and Tea in Downtown Winslow. Art at Bainbridge Island Arts and Crafts – workshops, exhibits, special programs for kids. Beading at Beads of Bainbridge 162 Bjune Drive Southeast, (206) 855-4043. Take a sewing class at Esther’s Fabrics or through Parks and Rec. Check out Bainbridge Performing Arts (BPA) – classes and performances. Join a Gym like Island Fitness or Bainbridge Athletic Club, they both have child care. IslandWood – for classes, free tours, camps, special events. Great place for summer camps. Sign up for a class at Bainbridge Island Martial Arts. Become a member or just take a walking tour at Bloedel Reserve. Visit the Bainbridge Island Historical Museum. Kids under 5 are free. Try indoor rock climbing at The Island Rock Gym. Day passes and gear rental available. Classes for kids. Rent a boat at Back of Beyond Boat Rental. Participate in All-Comers on Mondays nights at 6:15 after July 4th through August. 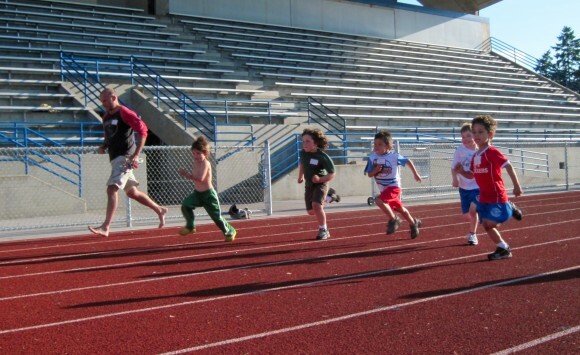 Free running races for all ages at the High School Track. See my previous post on this event. Bring a picnic dinner and dine with others on the field. Spend an afternoon at the Bainbridge Island Museum of Art. In Winslow, right near the ferry. Admission is free and don’t miss the BIMA Cafe. Go to a Star Party at the Ritchie Observatory at Battle Point Park. Bainbridge Library Story Time – check here for times and ages. They have a great summer reading program. Pick a park or a trail and get outside. Two of my favorite maps at those links. I recommend a hike in the Grand Forest. Explore beautiful Bainbridge Gardens, lots to see for free, inside and out. While you are there you can have lunch or a snack at The New Rose Cafe on site at Bainbridge Gardens. Some local folks have plotted out bike routes along the island and those can be found on Bikely. Find a cool beach to relax or play. Check out the Shoreline Access Guide. Take a tour through Farmer’s Market on Saturdays 9am-1pm in the Town Square at City Hall Park. mid April -October. Plant a garden in your own yard or take advantage of a Community Garden. Enjoy a free Summer Concert an island Park. Concerts run mid-July – mid-August, some great bands are planned for this summer. The Boundy Family Farm on Bainbridge Island. A Blakely Elementary School Field Trip. What’s Ahead for the Summer Real Estate Market?